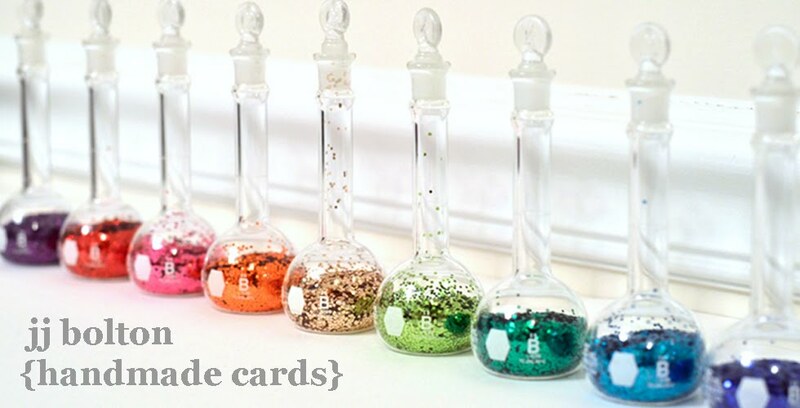 I had such a productive day today that I rewarded myself a night of uninterrupted card-making. The weather outside today was blah and rainy (not to mention the swamp fire 2o0 miles away - yeah I said swamp fire;). So with the "help" of my twin 12 year old boys, everything was cleaned, washed, and organized, woo! And now the only messy spot in the house is my craft table. I had so much fun making this card inspired by the new Embellish Color Challenge! 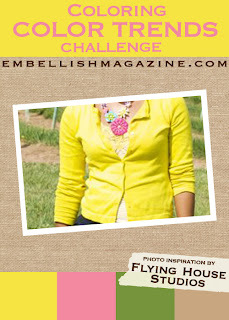 In addition to the great color inspiration (love those happy colors), the challenge is to incorporate coloring. 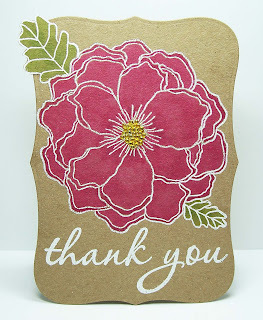 I started off with one of my favorite flower stamps by Hero Arts. That stamp doesn't have any leaves, so I borrowed a couple from a PTI set. 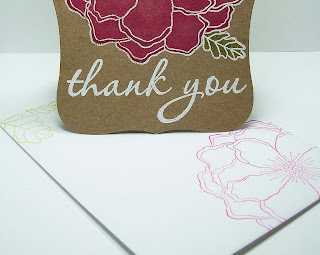 I stamped and heat embossed the images in white onto kraft. 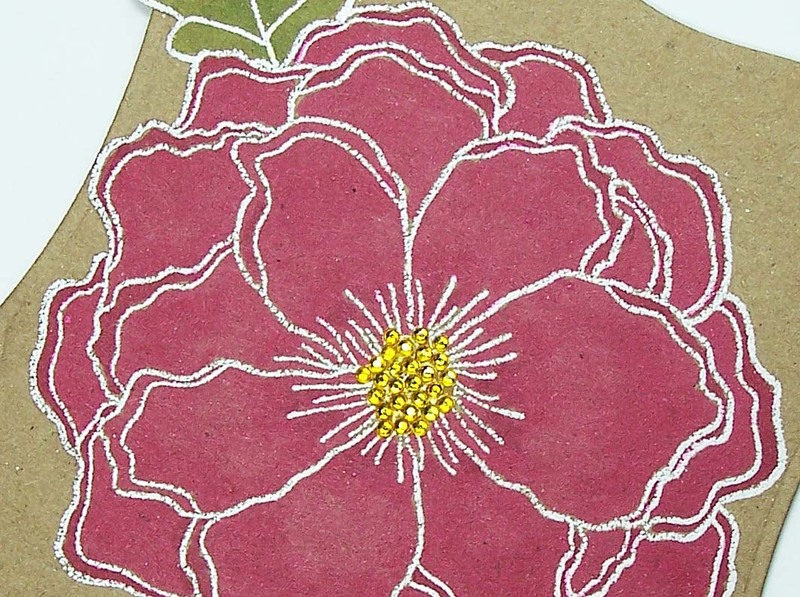 To incorporate the yellow, I used teeny-tiny jewels in each of the tiny stamped circles of the flower center. And just for fun, I did a little outside the die cut technique (see that little part of the leaf outside of the die cut shape?) Take a look here and here for tips on this technique. 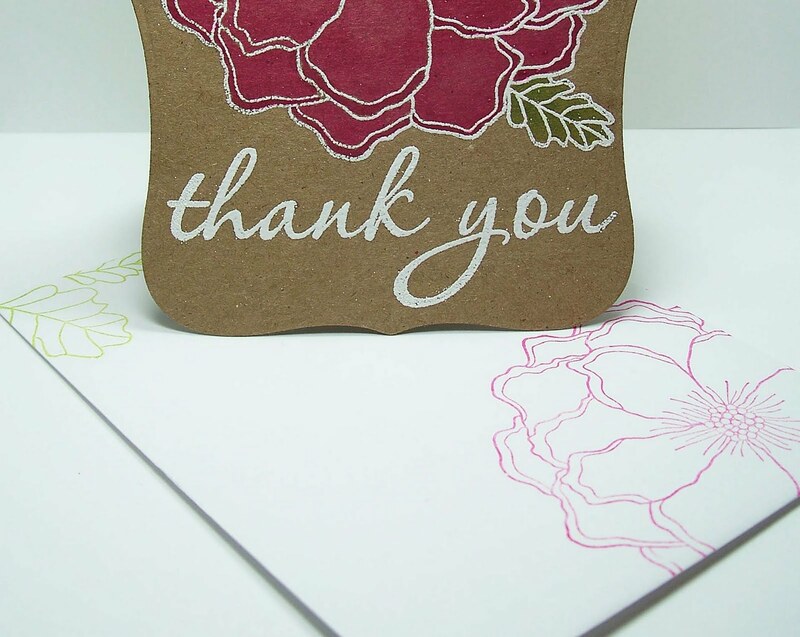 It's hard to tell, but the back of the card was die cut in ripe avocado to match the leaves. I even had time to make a matching envelope which I love to do, but rarely get to do. Now it's time for a nice hot bath and bed for me! Thanks for looking! Beautiful! Love that big blossom and your decorated envy too. Another fabulous take on the Trigger...that flower is just stunning! The shaped card is fabulous! 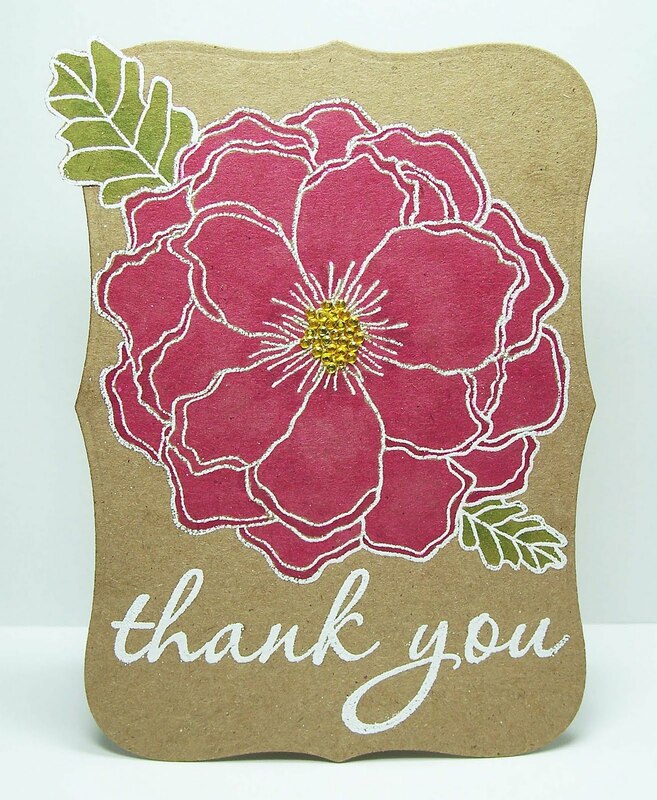 Thanks for taking on the Coloring Color Trends Challenge. swamp fire? I'm guessing that smells AWESOME, given how the nearby marsh smells on a good day :) Pee-yu. Hopefully that gets under control quickly! 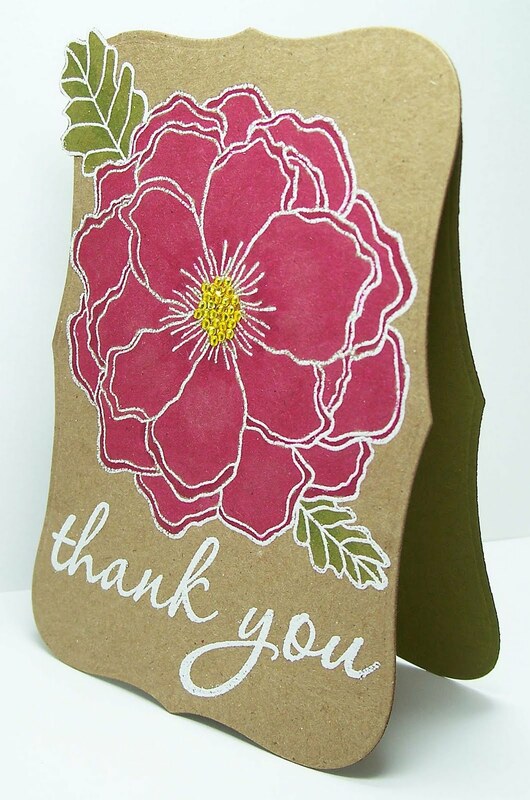 Yay!on helpful kids - and self-rewarding with cardmaking is a great idea. I really love how kraft looks, and I should use it more! If I ever take the "good" marker plunge I'll have to remember to practice on kraft.